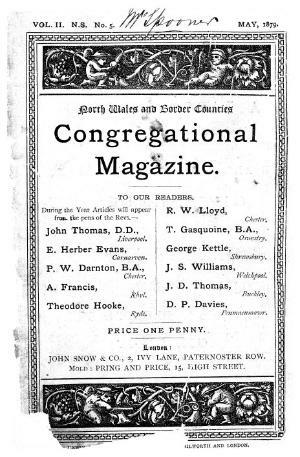 A monthly religious periodical serving the English Congregational Churches of north Wales and the border counties. The periodical's main contents were religious articles, serial stories and denominational news. The periodical was edited by D. Burford Hooke. Associated titles: The Liverpool and District Congregational Magazine (1879). Publisher Details: John Snow & Co.